 There are either five or six major mehrabs in Masjid al-Nabawi as they are listed below. 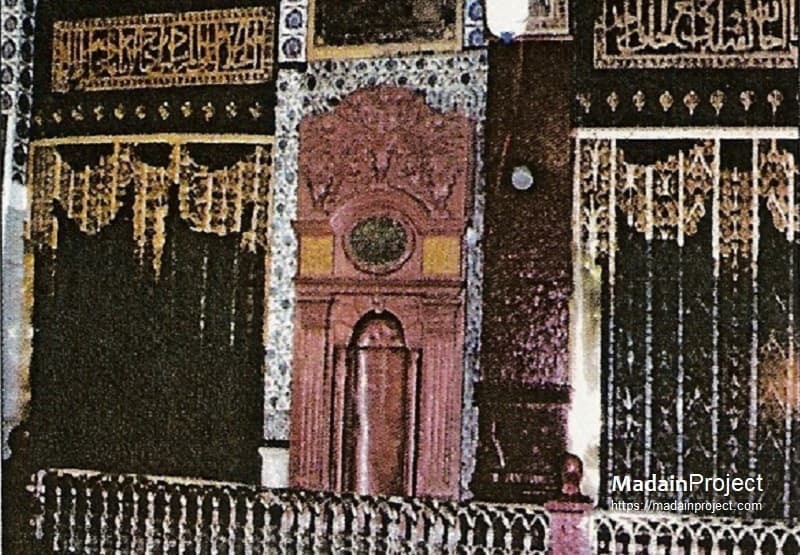 An old picture marking the approximate location where Prophet Muhammad used to offer Tahajud Salah, this mehrab has been removed. Isa bin Abdullah, a companion of prophet Muhammad relates that when visitors used to depart late at night, then the messenger of Allah used to spread a mat behind Ali ibn abi Talib’s house offer voluntary salah here. 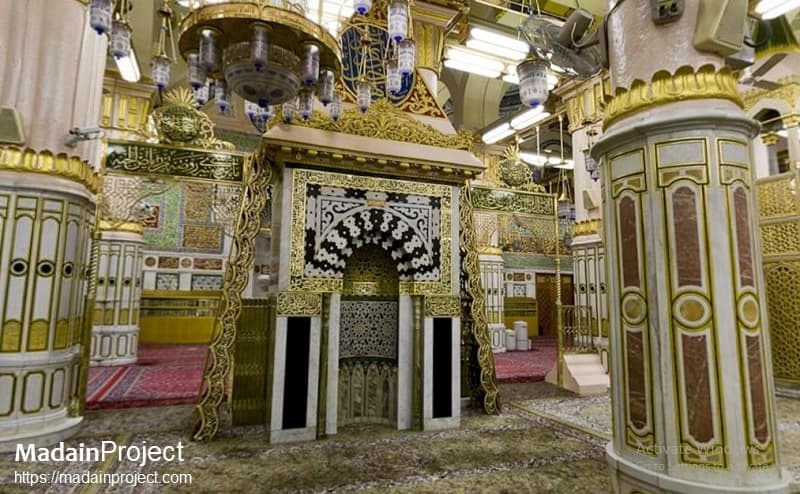 There was another mehrab, called Mehrab-e Bait ul-Maqdis, at the Prophet's Mosque up until after the Battle of Khaybar and was probably removed following the first expansion of the mosque after the battle in 7 Hj or during the second expansion by Umar in 17 Hj. It was located in the northern wall of the original mosque, near modern day Muazzin's platform. 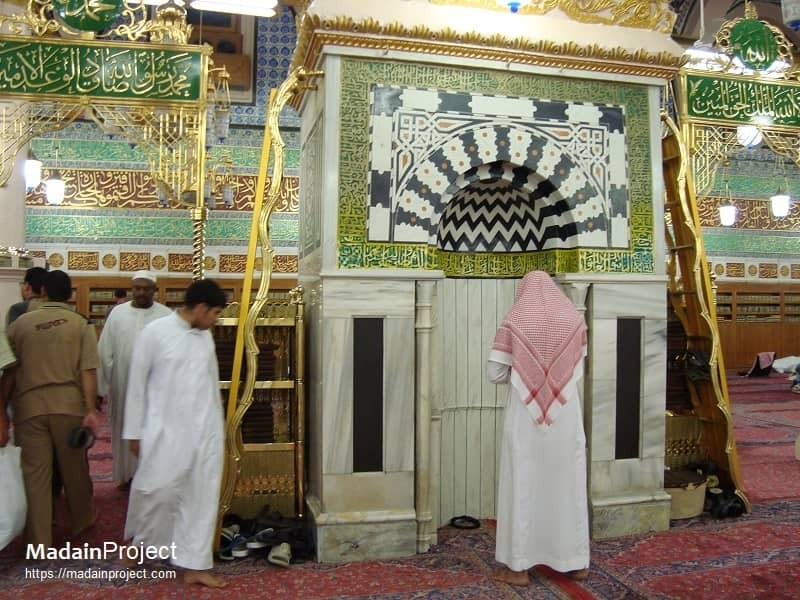 Mihrab-i Nabawi (محراب نبوي), as it is today. It marks the location where the mehrab of the mosque used to be during the time of Prophet. 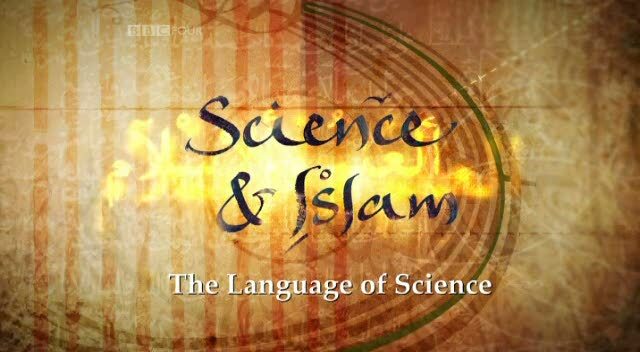 It is situated within the Riyad ul-Jannah. Originally Prophet used to lead salah close to the Pillar of Aiesha, and in 91 HJ. Umar ibn abdul Aziz installed a mehrab in this place. 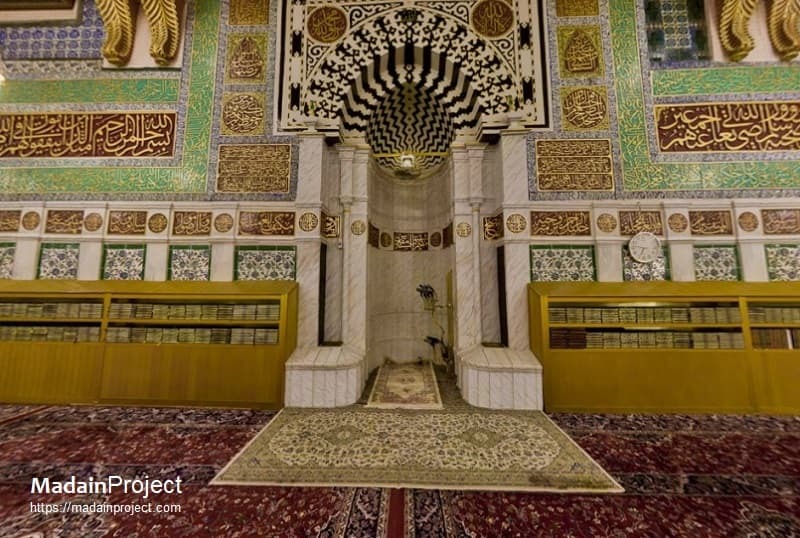 The base qibla wall of the mehrab covers the spot where prophet user to prostate. Mihrab-i Uthmani is the functional mehrab today since mosque's expansion by Uthman ibn Affan in 651 CE. The Mehrab e Suleimani, also known as the Mehrab-i Hanafi or Mehrab-i Omar ibn Khattab, it stands at the spot where an older mehrab was installed during the reign of Suleiman the Magnificient. 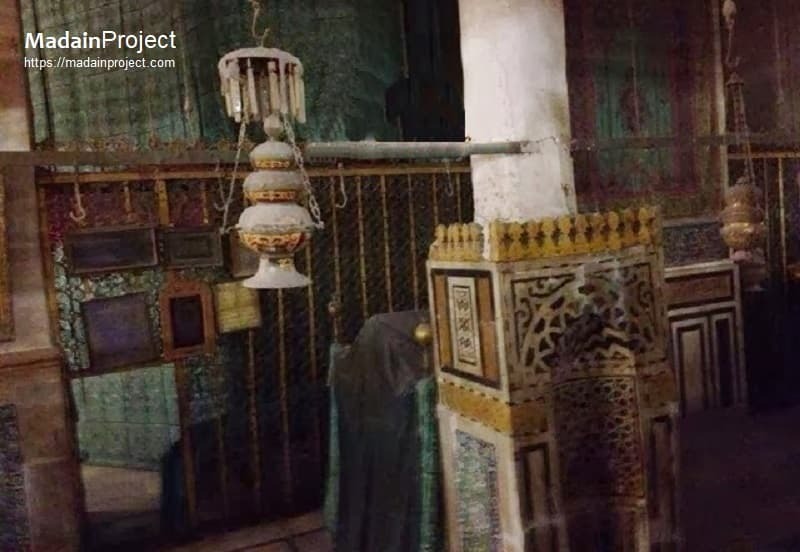 This mehrab, known as Mehrab e Fatimah (because it is inside the house area of Fatimah bint Muhammad), inside the modern day tomb enclosure, in the section that used to be the Fatimah's and Ali ibn abi Talib's house. The shroud behind the Mehraab covers the antique bed believed to have had belonged to Fatimah bint Muhammad. The small portal to the left of the bed leads in to the Maqsoorah, today inaccessible where the graves are located.